Exclusive Premiere: Stream Cries Of the Captive’s “Totalitarian” – Ouch That Hertz! We proudly present to you the exclusive premiere of Cries Of the Captive’s new single, “Totalitarian.” The new single comes off of the Utah-based deathcore outfit’s upcoming album Totalitarian, which will be out on September 23rd via Imminence Records! Prepare to give up your civil liberties and maintain subservience to one malevolent, brutal, reckoning force. Cries of the Captive formed in early 2011 by Tyler Conner and Jordan Huemiller who early on recruited guitarist Quinton Udink, drummer Matt Barnette, and bassist Billie Olsen into the band. A few months after completing the lineup, Quinton and Matt left the band and sparked a long hunt for new members. The band eventually welcomed new drummer Kyler Loughlin and new guitarist Skyler Dustin, however, with the joining of the two new members they were forced to part ways with bassist Billie Olsen. Quickly after, bassist Mason Blair joined the band, forming the lineup that would be known as Cries of the Captive throughout 2012. In early 2013, the band and Tyler Conner went their separate ways; not wanting major changes in their lineup, Cries Of The Captive moved former bassist Mason over to vocals and brought in bassist Jake Makley. December 22nd, 2013 saw the release of the Imperialist EP, renowned for its powerful rhythms, unique sound and low, guttural vocal styles alongside haunting harmonies; the album had been recorded alongside the mastery of technician Dan Jones, who is the guitarist of Chelsea Grin. 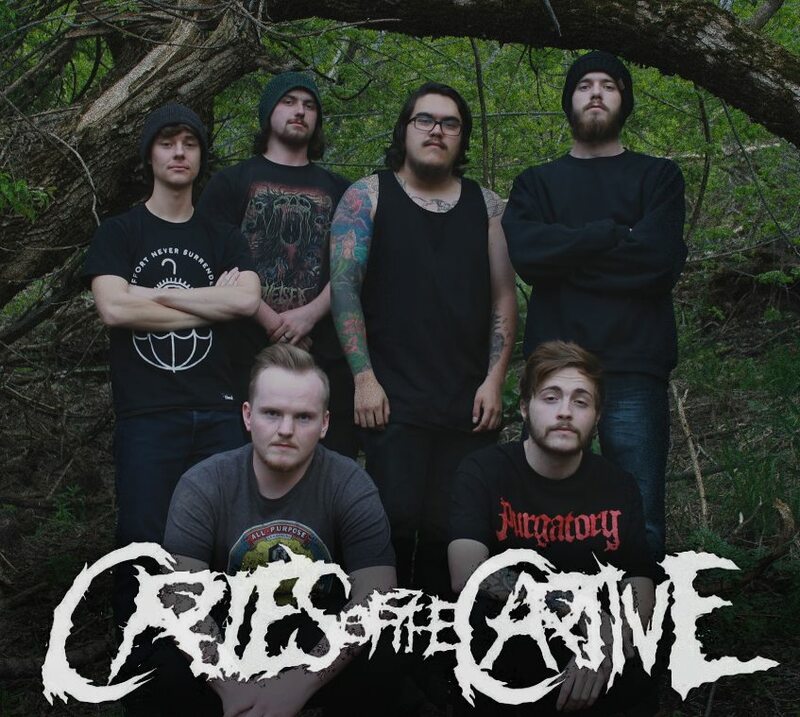 With one final lineup change of Nate Barnes coming in to play bass, Cries of the Captive has set out to take 2014 by storm. More ready now than ever before, the metal outfit is poised to take the music industry in full force as they enter their third year, and refine their skills, not only as a band, but as performers. The band announced their signing to Imminence Records in July of 2015 and are set to release their label debut, entitled Totalitarian, on September 23rd.